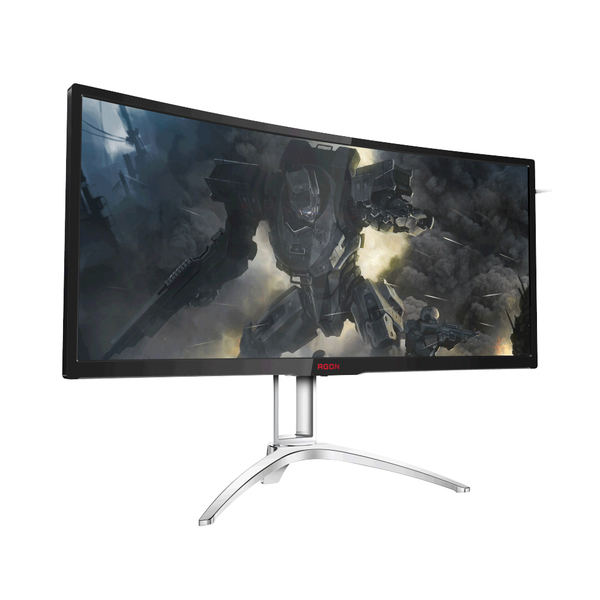 Immersion to the max: With its extra-small curvature radius of 2000 mm, the AOC AGON AG352UCG puts gamers right into the centre of the action. 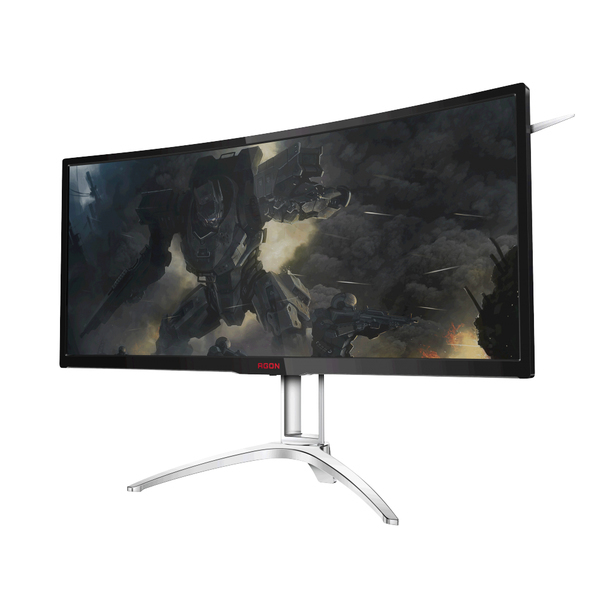 A 100 Hz refresh rate and NVIDIA G-SYNC technology guarantee super-smooth and responsive gameplay and graphics by minimising screen tearing, display stuttering and input lag. 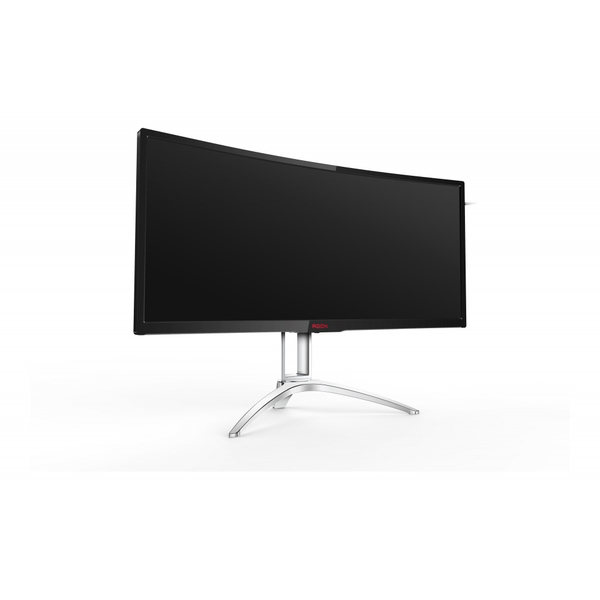 The monitor’s UltraWide QHD resolution of 3440 x 1440 pixels brings game worlds to life with sharp and detailed images on the large 35″ (88.9 cm) screen. 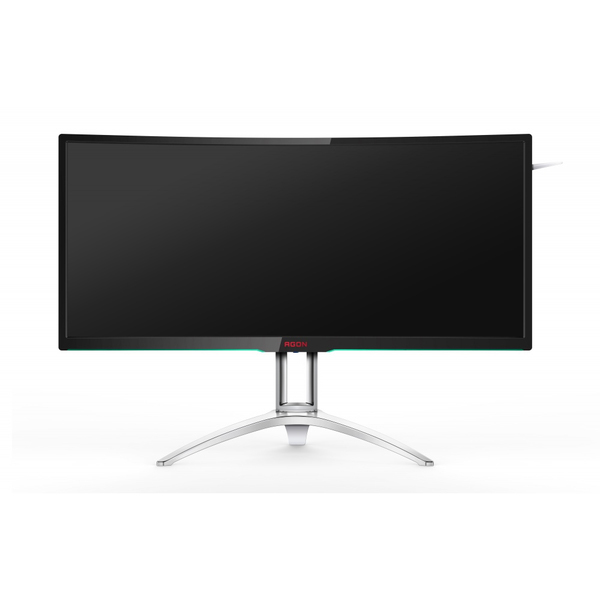 Clever display settings give players additional advantages, including AOC Shadow Control, which lightens overly dark areas of the image and darkens bright parts without affecting the rest of the screen. Moreover, convenient features such as a retractable headset holder and a handle make the AG352UCG a perfect choice for esports enthusiasts, who can even customise the monitor’s look thanks to adjustable coloured LED lights (red, green, blue) on the AG352UCG’s back and lower bezel. 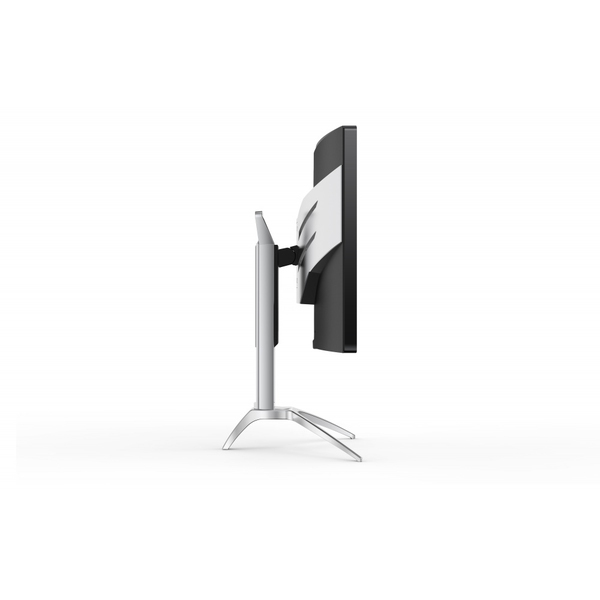 The display’s ergonomic stand called AOC Ergo Base offers height, tilt and swivel adjustment options, which empower gamers to find a comfortable posture and prevent back pain. 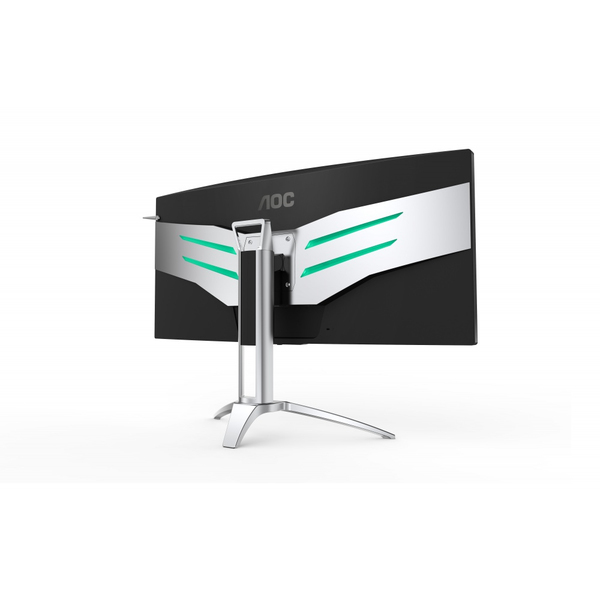 In order to also protect players’ eyes and prevent eyestrain, the AOC Flicker-Free technology regulates the monitor’s brightness with a direct current (DC) backlight system, which reduces flicker. 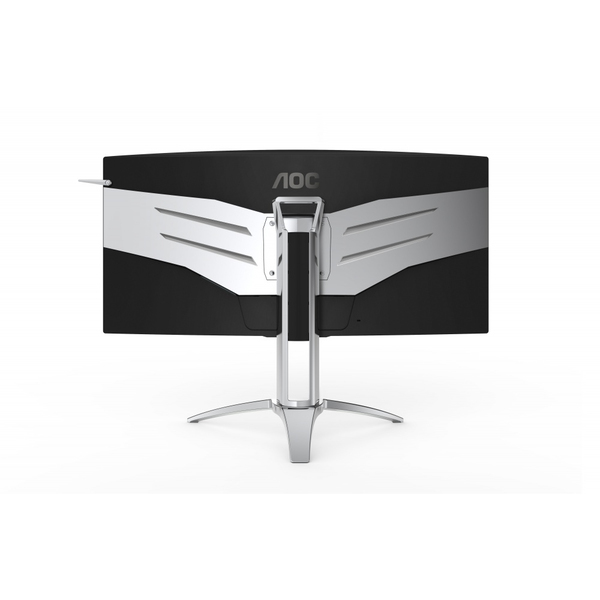 In addition, the optional AOC Low Blue Light mode reduces potentially harmful short wavelength blue light.